The global demand for seafood will increase as the world’s population grows. As no additional supply from marine capture fisheries can be obtained unless overexploited stocks are brought back to their full potential, aquaculture has to provide the future needs. Aquaculture could take pressure off wild fisheries and contribute to socio-economic development in local communities but could also cause major negative impacts on the environment if not practised with sustainable methods. 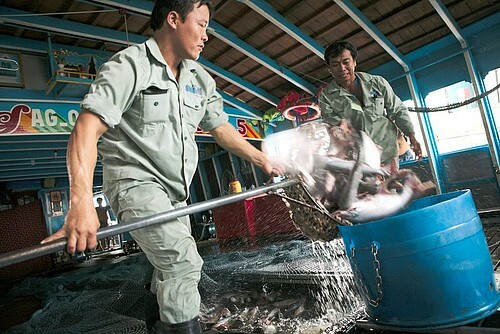 During the last 15 years aquaculture has expanded rapidly in Vietnam and the nation is now one of the world’s largest producers of aquaculture products. The sector has become an important component in the country’s economy and the recent development has contributed to livelihood improvements for the rural population living in the Vietnam Mekong Delta where the majority of the nation’s aquacultures can be found. Create policy initiatives for pangasius aquaculture development. Support capacity building and better management practices for small-scale shrimp farmers. Use demonstrative models of ASC certified shrimp practices to advocate for decision- makers and further expand responsible aquaculture practices. Promote consumption of ASC certified shrimp products in regional and global markets. 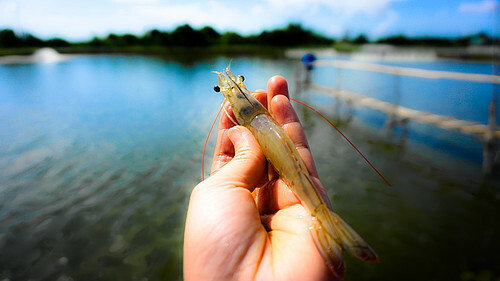 Study the socio-economic and environmental benefits created by ASC certified shrimp products. Aquaculture Stewardship Council (ASC) is an independent non-profit organisation with the primary goal to manage global standards for responsible aquaculture. ASC works with aquaculture producers, seafood processors, retail and foodservice companies, scientists, conservation groups and consumers. It aims to transform the world's seafood markets toward responsibility and to promote the best environmental and social aquaculture performance. This also includes increasing the availability of certified responsibly sourced seafood on the market and promoting the use of the ASC logo. Seafood products with the ASC quality mark come from producers that demonstrably respect the environment and adhere to guidelines pertaining to food additives and social conditions (ASC 2014).